In addition to the Bachelor’s degree, we also offer a Certificate in Environmental Sustainability. This certificate can be completed entirely online. You do not need to apply to the University to undertake the certificate, simply enroll in classes as a non-degree seeking student. This may be the preferred option for students who already possess a bachelor's degree. All credit earned through the certificate can be applied to the ESE BS degree if you later transfer to the program. This certificate addresses the growing demand for courses that concentrate on the key issues associated with sustainability and the environment. Students in the Environmental Sustainability certificate program will learn about the interconnectedness of environmental, economic, and social systems of the world; the implications of our actions on the environment; factors that determine the sustainability of human institutions, organizations, cultures, and technologies; finding solutions through innovative approaches; and expanding future options by practicing environmental stewardship. Following the classical definition of sustainability, the aim is to develop citizens, businesses, and societies that meet the needs of the present without compromising the ability of future generations to do the same. We also offer a not-for-credit course through Coursera that has both free and low cost options - and counts for one of the courses in the certificate program. If you pass the class it can replace ESE 200, and enrollment is always open - so try it now! The course is called Introduction to Sustainability, and you can view the teaching materials for free. The version with assessments is low cost, and you just need to pass the course to get credit towards our certificate. To register as a non-degree student for academic credit, you will need to complete the Center for Innovation in Teaching and Learning (CITL) online enrollment form. CLICK HERE to view information on CITL’s enrollment policies for non-degree students. You may view a list of online course offerings here. Enrolling in any one of the approved courses also enrolls you in the certificate program. The UI Integrate system allows you to register (add and drop courses), view your academic history, current account billing information, and view and update your personal information. For additional questions about the sections you have enrolled in, please contact the OCE Registrar, Peggy Day, at pcday@illinois.edu or +1.217.244.0962. Want to know more about the certificate, or how to sign up? Talk to advisor Dr. Jonathan Tomkin. Faculty at the University of Illinois study all aspects of the Environment and Sustainability to uncover innovative solutions. Topics cover green business, carbon sequestration, regional climate change, sustainable urban development, environmental visualization, second generation biofuels and much more. The faculty involved in the ESES and ENSU programs are elected fellows of American Academy of Arts and Sciences, the National Academy of Science, the American Meteorological Association and the Geophysical Union and are recipient of national and international awards including the Nobel Peace Prize. Many of our faculty receive research funding from the National Science Foundation, NASA, and NOAA, have been awarded prizes for teaching excellence, and have written nationally adopted textbooks. The current tuition rate is $403 per credit hour, thus a standard 3-hour course is $1209. This rate includes both tuition and fees. The tuition rate is the same for in-state, out-of-state, and international students. 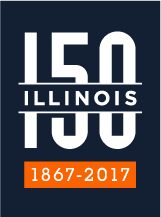 The cost for future courses may be subject to moderate changes in accordance with the actions of the University of Illinois Board of Trustees. Students must earn 15 to 17 hours to complete the certificate, so the total cost is between $6000 and $7000. Financial aid is available for students accepted into the program and enrolled at least six credit hours of coursework in Fall and Spring. Full financial aid is available for students who are enrolled in 12 or more credit hours. Please visit the Office of Student Financial Aid for more information. What if I join mid-year? No problem. Most classes don't have to be taken in sequence, and there are plenty of options offered every semester. We accept applications all though the year. Yes, anyone can take an single course. You do not need to apply to the program or the University of Illinois. If you decide to apply for the certificate program or the University of Illinois and are accepted, all classes taken will count toward our bachelor degree and our certificate. Yes, there's no restrictions on enrollment in the certificate. I'm unsure about the requirements, can you help? Yes, please contact us with your questions and concerns! Call or email anytime.